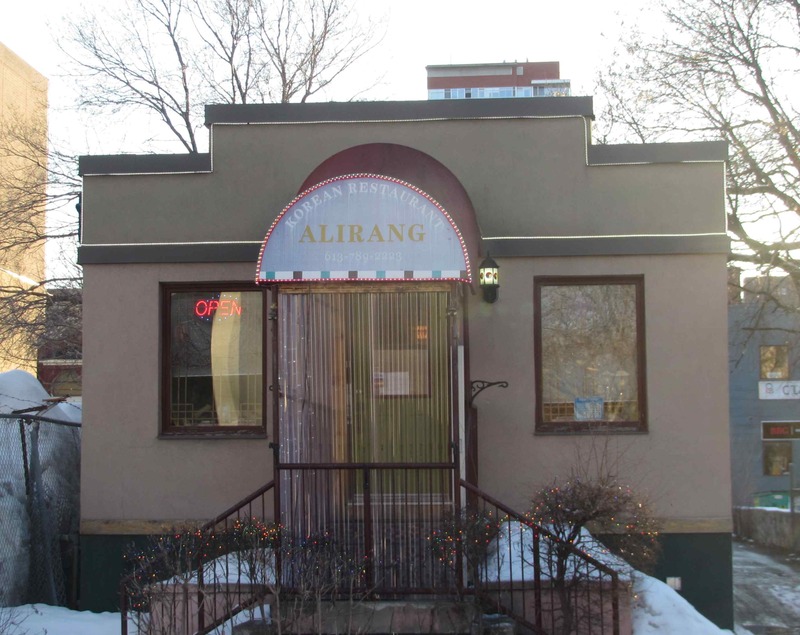 I arrived at Alirang at about 6:30 pm on a Friday evening and was surprised at how tiny it looks from the outside. Inside, it is really quite cramped, seating about 40 or so, but it has a very homey, cozy quality to it, despite the cheap plastic table coverings and plain furnishings, and the atmosphere is certainly helped by the rich, delicious aromas that assail the nostrils as soon as you open the door. The place was full when I arrived (I had to wait a few minutes for a seat) and it remained so throughout my visit, with each table being occupied as soon as it was vacated. Almost all the patrons, I noted, were Asian and, though this doesn’t inevitably mean that the food in a given place is ‘authentic’ ,I was eventually led to the conclusion that the popularity of the place was well-deserved for providing a little taste of home for at least some of the clientele. A particular feature of a traditional Korean meal is the provision of numerous side-dishes, collectively known as Banchan, which typically consist of various sorts of pickles and salad-type affairs. These were not listed on the menu, but I saw several on a number of tables and assumed that they were probably only provided along with main course dishes (meaning that I would probably not get to sample them as I planned only to select from the appetizer list). One of the waitresses confirmed that this was the case but, when she saw my disappointment she laughed and said she would get some for me to try. I was very impressed with this unexpected show of hospitality and pleased, even more so, when she brought me three dishes in the same amounts as if I had been ordering major entrees. 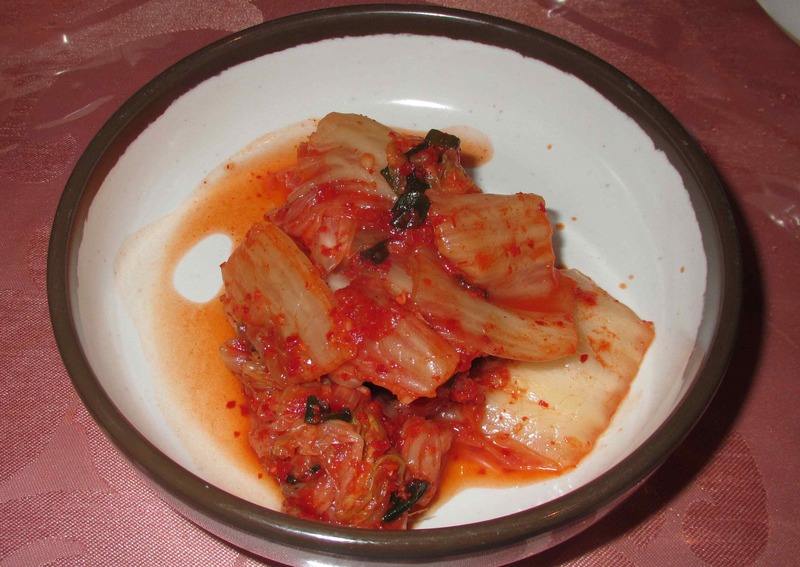 Kimchi – This was very fresh tasting, but very sour, cabbage and scallion kimchi with just a touch of chili heat. My wife makes great kimchi so I am quite spoiled when it comes to many different sorts, but this was very nice and I rated it a 3 out of 5. 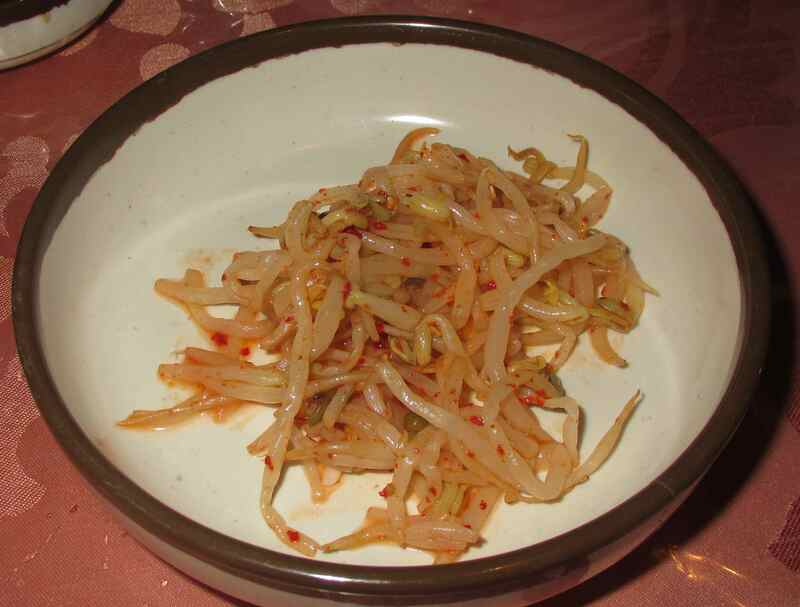 Bean Sprout Banchan – These bean sprouts appeared to have been wilted briefly with salt and then tossed with a dressing that was largely sesame oil with possibly a smidgen of sugar. There were a few flecks of chili here and there, although it wasn’t especially spicy, and the sprouts coupled with the nutty oil had a nice, almost woody flavor. I gave this dish a 4 out of 5. Potato Banchan – This dish was excellent. I have seen recipes for similar preparations but this is the first time I have ever eaten the like. 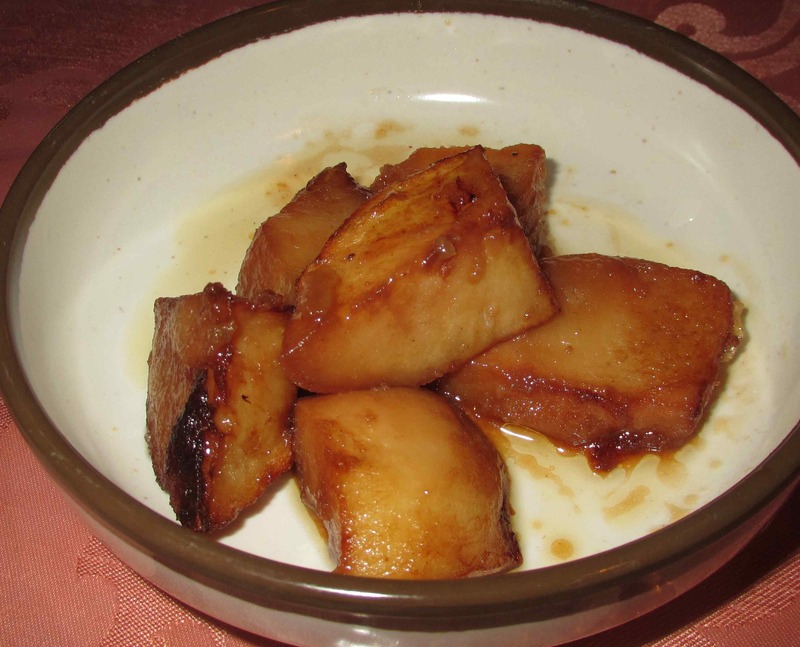 It consisted of cold chunks of potato that had been glazed with a sweet soy based mixture and then sautéed to a light caramelization. I liked this the best of all three banchans and rated it at 5 out of 5. 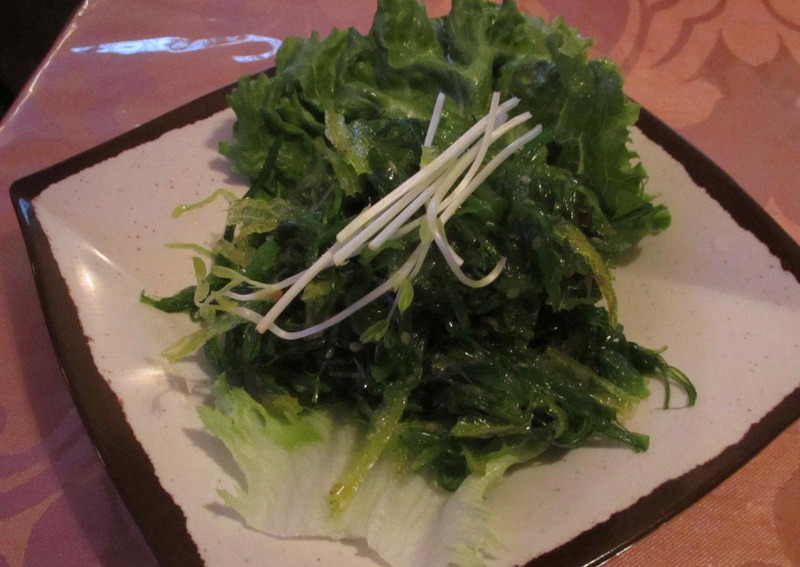 Seaweed Salad – This was one of the nicest versions of this dish that I have ever eaten. The seaweed (wakame, perhaps) was a beautiful emerald green and crisply fresh. It was tossed with a sweetened sesame dressing and thin strips of agar-agar. I rated it at a 5 out of 5. 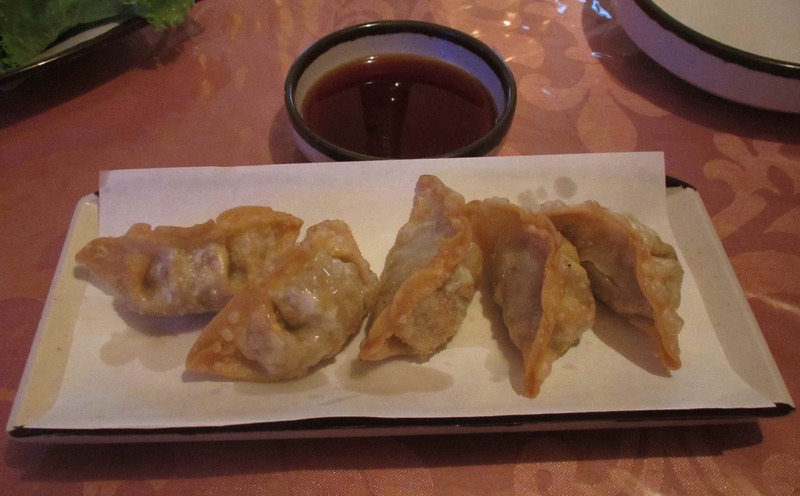 Mandoo (Korean Dumplings) – These were a lovely size for an appetizer and were nicely crisp without any oiliness. The filling was pork with just a little cabbage and the dipping sauce appeared to be sweetened soy with just a splash of rice wine. Overall, these didn’t wow me as the filling could have been a bit more assertively flavored (some ginger perhaps), but they were still very nice and I gave them a 3 out of 5. 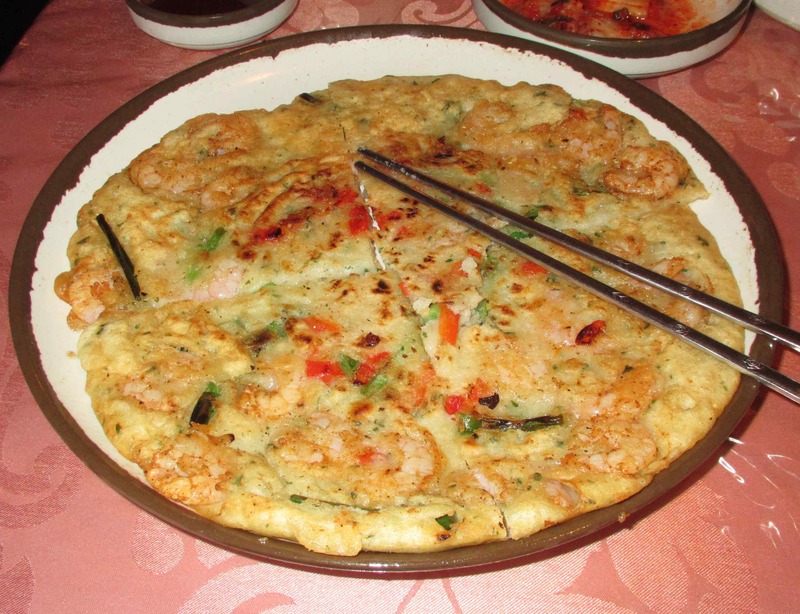 Pazeon ( Seafood Pancake) – This usually appears on menus as ‘Pajeon’ and is something I enjoy very much. Unfortunately, this one was very large, and I was already starting to get full, so I didn’t quite manage to finish it. The only seafood apparent in the mix was shrimp, and these were accompanied by red bell pepper and a little dried chili. In all honestly, I prefer the ones I cook in my own kitchen but I have also eaten much poorer ones elsewhere. I thought it rated a 3 out of 5. My meal at Alirang was probably the nicest I had during my whole week long visit to Ottawa and I would be tempted to keep the place a secret except that it already enjoys a popularity that keeps it very busy already. 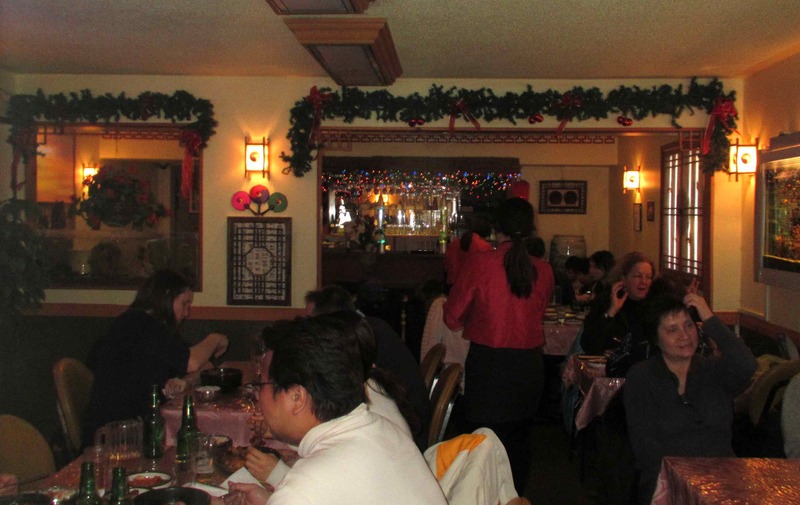 The service was excellent, the surroundings comfortable and homey, and the food reasonably priced and excellent. I will be taking my wife there on our next visit to the city. Rating: 5 out of 5. Good review ! But I do tend to believe that if you go to a Chinese restaurant with many Chinese patrons, it won’t be bad. Same here for Korean food. Your photo shows quite a few Asians. Very few non- Asians are like you, that know so much about Asian cuisine !